We are proud to have released our first external application, Chinese Flashcards for the iPhone and iPod Touch. Use this application to test your recognition of 2700 of the most frequently used characters in simplified or traditional character formats. Begin by choosing which character set (simplified or traditional) you would like to focus your learning on. Characters are displayed on screen one at a time. Decide how well you recognize the character, then click on the “Show Answer” window at the bottom of the screen. The pinyin pronunciation and English definition are then revealed to you. If you feel confident in your recognition of this character answer Yes, otherwise answer No to have it shown to you again later. If you prefer to remove this character altogether from your learning list, choose Skip. At the end of each session, you will be shown how many characters you memorized in that session, plus how many characters you have memorized overall. A rating is given to you based on the number of characters you have memorized overall. What do I need to run this application? Why did you choose to create this application? Who is this application design for? Does this application teach Chinese? Does this application follow the CLO course structure? What does the skip feature do? What order are the characters displayed in? Why are some common characters not showing up until later? Why do some traditional characters seem to be missing? Why do some definitions seem to be incomplete? I answered Yes by mistake to a character, when I wanted to select No. Is there a way to change my answer? I have suggestions for improvements, or new ideas for new apps. How do I reach you? You need an Apple iPhone or iPod Touch with version 2.0 or higher of the OS installed. This application was created to take advantage of the iPhone’s extensive mobile features to continue CLO’s goal of providing the best combination of resources to allow users to learn Chinese. This application is designed for users who already have a background in Chinese, and who would now like to practice their character recognition skills to help in reading. No, for that we recommend you stick to the existing CLO course. No, in order to broaden the appeal for this application, it has been designed to be used independently from the CLO course. However, it can also be used very effectively in combination with CLO course. There are multiple ways to use this application. One is to try and learn all 2700 characters by following the procedure outlined above. You could also use it to count how many characters you do know, by marking the ones you already know as memorized, while skipping the ones that you don’t. Skipped characters will not be tested again, but will not be counted as memorized. This feature allows you to focus your learning on characters you are familiar with already, by skipping characters you have never heard of before. You can also use it count how many characters you recognize, by skipping characters you don’t know and selecting Yes for characters you do know. 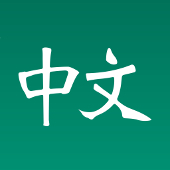 The characters are displayed in order of most common usage in the Chinese language. Bear in mind, this usage varies greatly from situation to situation. Literature tends to feature a lot of different characters that are not used in everyday conversation and vice versa. As mentioned in the last point, characters that are used often in daily speech, may not necessarily be used as often in written materials. Similarly, there are a lot of characters used in written material that aren’t used as often in daily speech. Depending on where your strengths are, you may find new characters appearing early on, that you aren’t familiar with, while characters that you are familiar with appear later on. In daily life, there is a lot of overlapping that takes place between simplified and traditional characters. There are some simplified characters that are often used in place of traditional characters, and there are also cases of traditional characters sometimes being used in areas that normally use simplified characters. Since both lists are offered in this application, you may find some characters appearing in one list and not the other. Standard numerals are included in the simplified list, whereas the formal versions (used by banks) is included in the traditional list. You can use the skip function if you come across characters that you choose not to study. Since this application is not meant to teach you Chinese, the definitions are included only as a guidance, and in some cases further meanings are left out. It is recommended that you use this application in conjunction with a standard course like CLO to help you determine which words the characters found in this application are used in, and what their meaning is in context. Yes. After each session, you can choose to restart the session if you want to change any of your answers. You can also restart a session by first clicking on the Menu option at the bottom of the screen during a test. This is also useful if you changed your mind about skipping a character. You may either contact us directly or leave a comment below. Just purchased and tried out the flashcard program. While the interface is fine, and works as advertised, is there any way I can skip the beginning characters, and start later on (for example, starting with 1500, and taking it from there?). The original version of the app had that option. However the problem was that the average user wouldn’t know which character number to begin their study (what if there were some odd characters popping up earlier that they didn’t know?). Plus since the main purpose of this app is to count how many characters you know, starting from half way in may show your ranking as “elementary” when in fact you were much higher than that. So I ended up removing that option to keep things simpler, and to keep the ranking more accurate. Let me know if you have similar suggestions for future versions or future apps. the pinyin font is quite small. I am hoping there is function to make the font bigger, or have it settable. Also, a way to directly record audio right onto the card (e.g., IFLASH). Thanks for your suggestions. Do you mean recording your own audio to play along with the flashcard? Usually such a feature is used to compare your recording with that of a native speaker. Since there is no native speaker audio included here, I didn’t include this option. Since most characters tend to be used as part of words, I felt audio wouldn’t be as crucial for this application. I’m considering creating a “word based” version of this application that could also include audio, plus the ability to record and compare your voice. Let me know if you have other ideas for future versions or future apps. Great application. Would like the ability to go back and review all memorized characters. Thanks Joseph. I’ll consider that for future versions. Let me know of any other suggestions you can think of. I would also like to be able to skip foward to more advanced characters or maybe there should be some kind of a jump algorithm so that if you get the first x right you jump 20/30 etc. I’ve been using the Chinese Flashcards app for a while and think it is excellent. I look forward to a follow-on flashcard app covering phrases and sayings. Also, it would be useful to have a app where the user could create his own list of characters and phrases to show in the flashcards – for example, the new words that the user’s class is covering this week. We tried that in an earlier version, but then the application started to lose its focus of being able to count how many characters you actually know. Once characters were skipped, should they be added to the count total. The other issue was that users wouldn’t know for sure what characters they were skipping unless there was a list posted somewhere. I suppose if a user didn’t really want to have an accurate count, we could let them skip. I’ll play around and see if I can come up with any alternate solutions. Thanks for your comment! We have begun work on a similar flashcard program but based around words rather than characters. This one will also feature audio. I’ll post information here when it’s ready (still a few weeks away at this point). If you have ideas for other apps to help with your Chinese, do let me know. I like your app. however one problem that I have is that I am able to test myself 25 flashcards at a time. I would like the option of testing myself at 5 or 10 cards at a time because it would be easier to learn the characters in smaller “dosages”. Also, I think that it would be nice to do a do-over test of all the cards that one got wrong during their test. Thanks! I’ve got a few suggestions here for your consideration, and I think if they were implemented it would probably make your piece of software one of the best Chinese flashcard options on the market. For me, as a learner of Chinese, and someone preparing for his HSK exams, it would be very, very useful for both me and a lot of my friends who have had a glance at this program if you could put the characters in lists by their HSK level. I know this wouldn’t be ideal for everyone, and i don’t think it would have to be a default option, but the HSK character lists have a decent learning curve to them (A list characters are much more common and useful to a learner than D list, but someone who is studying D list doesn’t want A list characters continually popping up in front of them) and would be very useful for students of Chinese who would be aiming to do the HSK exam at some point. I also assume a lot of people who have bought/are considering buying a program to study Chinese characters might have the HSK exam posted somewhere in their futures. Secondly, I think it would be useful if you could divide the characters up in to groups of 20 that were listed from 1 – ?? ?, and the software would tell you when the last time you reviewed that set was and how many you got correct, so that you could come back and review a certain set of 20 characters at a later point and know if you have got better or worst at that set. As a learner, and teacher, of characters I have found a system called SuperMemo very useful (and what I am suggesting is based on this system), this system (which I think you should look at) is one in which you review characters every set number of days, the time between reviews increasing or decreasing depending on the amount of time you’ve studied that group of character flashcards and your progress in memorizing them. You record the progress and then take it from there. For me, and many others, this system has been brilliant for character memorization. And finally, I would like to echo Johns comment, having the ability to create your own flashcard groups would be ideal, and would put the functionality up there with PlecoDict. I hope you could consider some of these suggestions, all my suggestions would be additions to the way the program currently works, not a replacement of the current tests to see how many characters you know. I think these suggestions would really increase the function of the program and would make it appeal to a lot of people I know. Although I think the idea of making your own cards/sets of cards might be hard due to the way Apple regulate the programs, it might be impossible to upload extra lists to the program. Great comments, guys! I’m going to study them all in detail. Some of the suggestions you mentioned don’t apply well to characters, so we have a new Chinese Flashcards app that is a few weeks away from being released. It will incorporate some of the points you mentioned. Once that is done, I may incorporate some of the changes from the new Chinese Flashcards into the original one, depending on how well they are received. It would be very useful to be able to add our own words all the more so as the iPhone allows to type in Chinese in a very simple way… Could you provide this feature? We are working on creating a website admin panel for some of our apps. This would allow greater customization and allow the use of features like the one you mentioned. This way a person could customize the app (such as adding new words) on the website, then sync this new version to their iPhone / iPod Touch. It’s still in theory at the moment, so let’s see if we can get it to work. Please continue sending in any other ideas you may have. As a 3+ year student of Chinese I too second the idea for adding your own characters. One idea you might consider is linking with one of the publicly available DBs and having a drag and drop feature. This way you do not have to worry about one user typing in the wrong format or such. Additionally, you could keep stats on what are the most requested words by your community. I would like an app that I can type in the pin yin, have a choice of characters to chooe from, choose the ones in my current lesson and work through memorizing them. It would be useful for it to archive all the characters you have entered so you are able to review all of them. It would also be nice to have several different options to choose from for how well you know each character, the ones you don’t know at all would come up more frequently while the ones you know well come up less frequently. THis would better simulate how I use actual flashcards. Thanks – I’m working on a new version that will let users import their own vocabulary lists and only test those. There will also be more testing options, so this should better meet your needs. It’s still a few months away though, so please keep sending me your feature requests. Could you please elaborate on the spaced repetition system used in this program? Is it similar to the algorithm in Mental Case? How many times do you have to get a character correct before it is considered “memorised”? If you get a character right every time, what is the total study time you need to get it to the “memorised stage”? I would appreciate some advice. All in all though, a great program and I plan to learn to read 繁体字 after I have fully learned 简体字 so it will be very convenient to have the most common 2700 right there on my phone. If you answer Yes to a character the first time it is shown, the app assumes this character is already memorized and will never show it to you again. If you are even the slightest bit hesitant, then I recommend clicking on No the first time around. If you answer No, then the app assumes you need to go through the process of memorizing it. It will show it to you again after about 25 characters. If you then click Yes, it will show it to you after 50 characters, then 75 then 100. If you answer 4 yeses in a row, the character is considered memorized, added to your score and won’t be shown again. Anytime you answer No, then the process starts again. Does this vocabulary set also follow the HSK lists like your other app? Since this one is based on single characters, rather than words, it follows a different list than the HSK, although there should be considerable overlap, since it is also ordered from most commonly used to least commonly used (which is what HSK does for words).